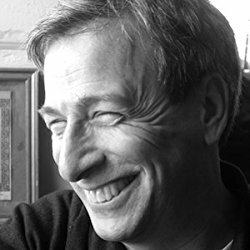 Christopher Bram was born today, February 22, in 1952. He is a writer of such novels as Father of Frankenstein, which was made into the movie Gods and Monsters. Bram grew up in Virginia Beach, Virginia, where he was a paperboy and an Eagle Scout. He graduated from the College of William and Mary in 1974 with a B.A. in English. He moved to New York City in 1978. His novels are about ordinary gay people trying to be decent and good in a morally compromised world. He focuses on the often conflicting claims of friendship, family, love and desire; the ways good intentions can become confused and thwarted; and the ways we learn to be vulnerable and human." Bram has written numerous articles and essays (a selection is included in Mapping the Territory). He has also written or co-written several screenplays, including feature documentary and short narrative films directed by his partner, Draper Shreeve. Bram was made a Guggenheim Fellow in 2001, and is a multiple nominee for the Lambda Literary Award for Gay Fiction, winning for Lives of the Circus Animals. In May 2003, he received the Bill Whitehead Award for Lifetime Achievement from Publishing Triangle, and in 2013 his book Eminent Outlaws: The Gay Writers Who Changed America won the organization's Randy Shilts Award. He lives in Greenwich Village and teaches at New York University.